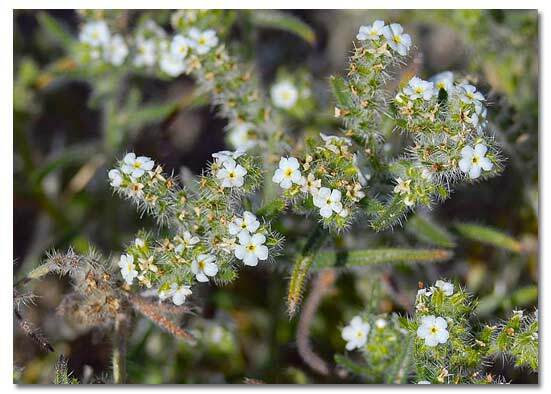 Cryptantha augustifolia, in the same family, is called the Narrow-leaved Popcorn Flower. 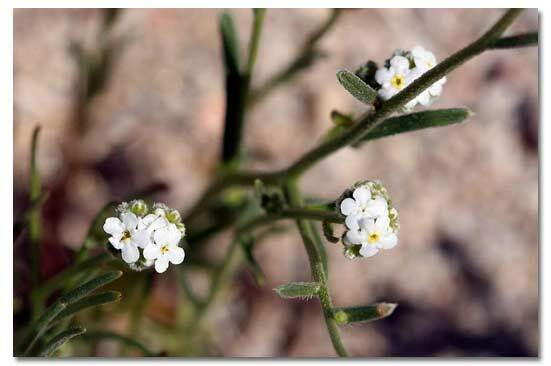 It has slender, narrow leaves up to 1-1/2 inches long. 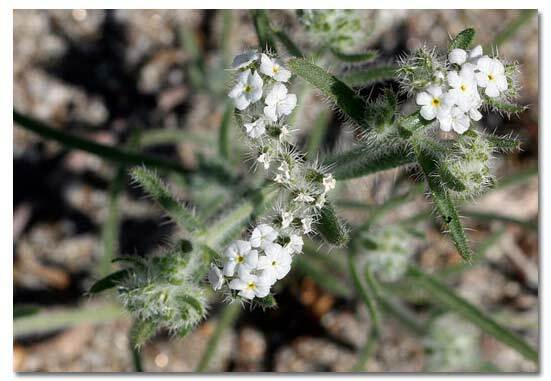 Popcorn flowers are so-called because the coiled stems and tiny, open flowers of both genera are white and clustered at the top of the coil, looking like popcorn. Mojave and Sonoran deserts throughout California, Arizona and and into northern Baja. 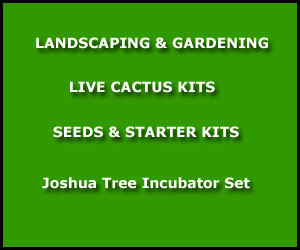 Open, sandy, gravely desert areas, especially near Creosote Bush, below 4,000 feet. 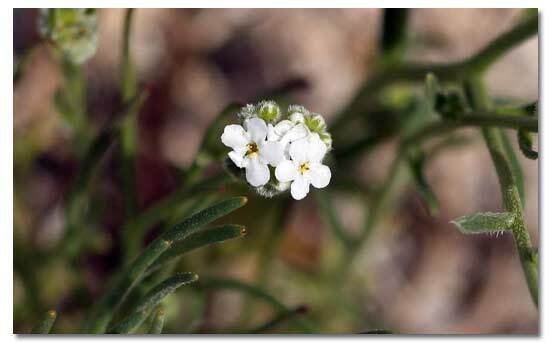 Small, white, 5-petaled, 1-inch flowers, grow in a coil at the end of branches. They bloom February through June.